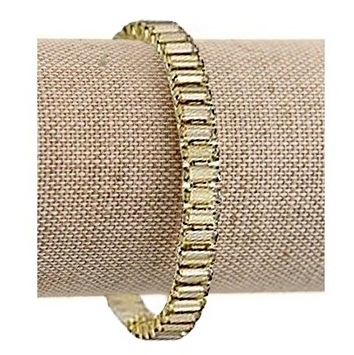 A simply stunning piece of jewelry, the Swarovski Baguette Stretch crystal bracelet features clear 7mm golden shadow baguette cut crystals with gold plating is pure elegance. Perfect for stacking with bangles & bracelets! Infinitely versatile and so easy to wear, the Baguette Stretch collection is an everyday style essential.